A technical ice axe for classic mountaineering, high-alpine expeditions and mountain guides. 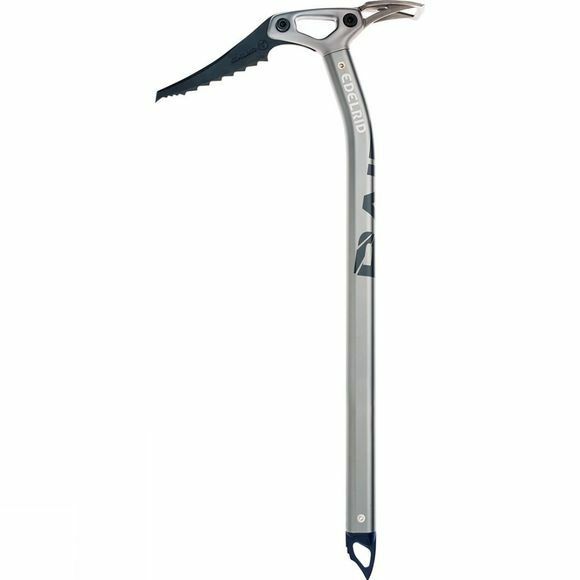 The Raid Ice Axe from Edelrid has a slightly curved aluminium shaft and hardened steel pick for making light work of steep, alpine terrain. The ergonomically shaped head is perfect for smooth plunging on the uphill, and the modular construction can be adapted to suit all uses and conditions.